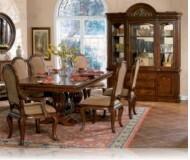 We at Ardin Furniture believe that getting the furniture you want for the lowest price shouldn’t be hard and stressful. That’s why we created our lowest Price Guarantee—so you can always shop with confidence. It’s simple! We are confident and guarantee you will all get the best and lowest price possible. However, if you find a better price online or in a retail store within 30 days of your invoice… We will refund you the difference, not just at time of your purchase but for up to 30 days after the purchase. So rest assured knowing you are buying smart from an authorized and reliable source. To take advantage of our best price guarantee, just call us at 1800-388-0149 within 30 days of buying your furniture and tell our customer support representative where you found the lower price. Best Price Guarantee. 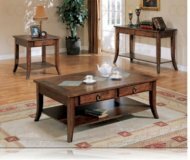 In the unlikely event that you find a lower rate on our website www.ardinfurniture.com or on another U.S.-based website within 30 day of your purchase, we will credit or refund the difference by mail or credit card. Notifying Us of a Claim. You must contact us at 1-800-388-1049 within 30 days of the date on your sign purchase order. Must be "Apples to Apples" Comparison. The Best Price Guarantee is available only for exact matches. You must meet all requirements imposed on the lower price (if any), including, without limitation, delivery area, delivery type, color, configuration, or finishes. Comparison Rates Must Be Available to the General Public Online. The Best Price Guarantee applies only to prices both advertised and available to the general public on a US-based website. For example, this does not include prices that are offered on membership program websites/store, corporate discounts, competitor close-outs, misprints, special buys, special promotions, liquidations, items that include free shipping, or member club pricing rewards program, incentive, prices obtained via auction or similar process; or prices available only by using a coupon or other promotion not offered to the general public. Must be an authorize distributor for the manufacturer and must have the product in stock and ready to shipped. Valid only for newly promotional price that start after your purchase date. The rate must be quoted in US dollars (and without reference to currency converters). Final Price Calculation. Our competitor’s final sale price must include shipping cost, customizing up charge, and/or sales tax if applicable. Verification of Claims. All requests, including receipts, are subject to verification by Ardin Furniture staff. We will not accept screenshots or other purported evidence of a lower price that cannot be independently verified by our staff. Nor will Ardin Furniture verify any request that it believes, in its sole discretion, is the result of a printing error, typo, fraudulent or in bad faith. Mail Us Proof. To receive a refund, mail a copy (no faxes) of the advertisement/quote together with a copy of your invoice or packing slip. Envelope must be postmark within 30 days of your purchase. Changes. Ardin Furniture reserves the right in its sole discretion to modify or discontinue the Best Price Guarantee or to restrict its availability to any person, at any time, for any or no reason without notice.